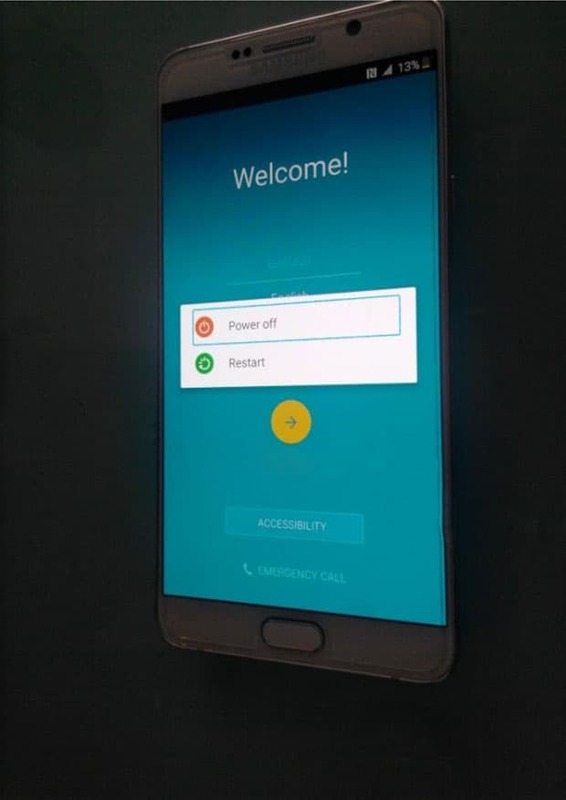 While we are quickly approaching the announcement of the Galaxy Note 5 as well as the Galaxy S6 Edge+, it looks like a popular retailer in the UK, MobileFun, has leaked out the boot up screens of both devices. 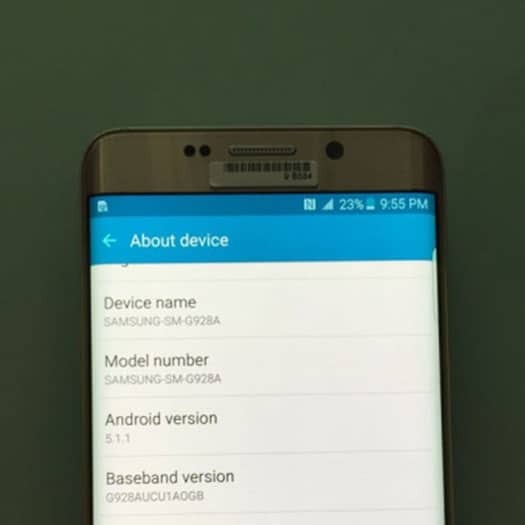 As well as the about screen for the Galaxy S6 Edge+, which appears to be running on Android 5.1.1, as well as sporting the model number SM-G928A. 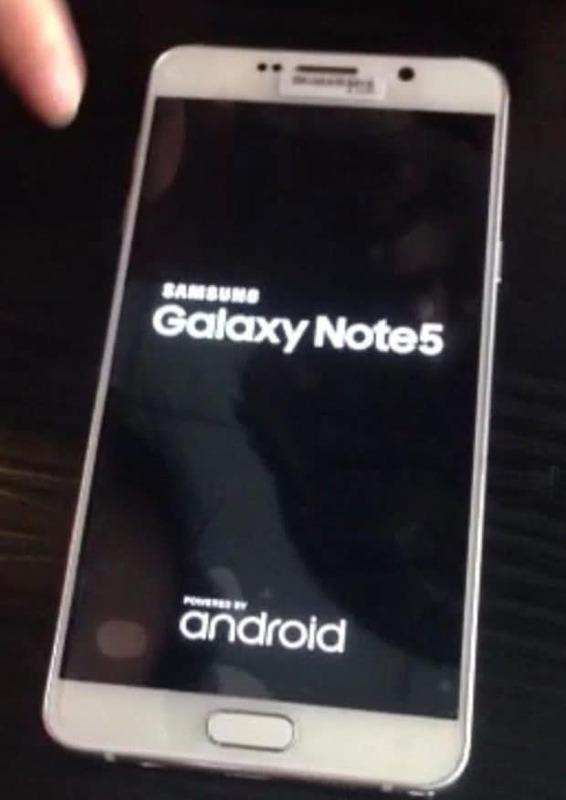 There’s no about screen here for the Galaxy Note 5, but we can tell from the boot images, that it is the Galaxy Note 5. 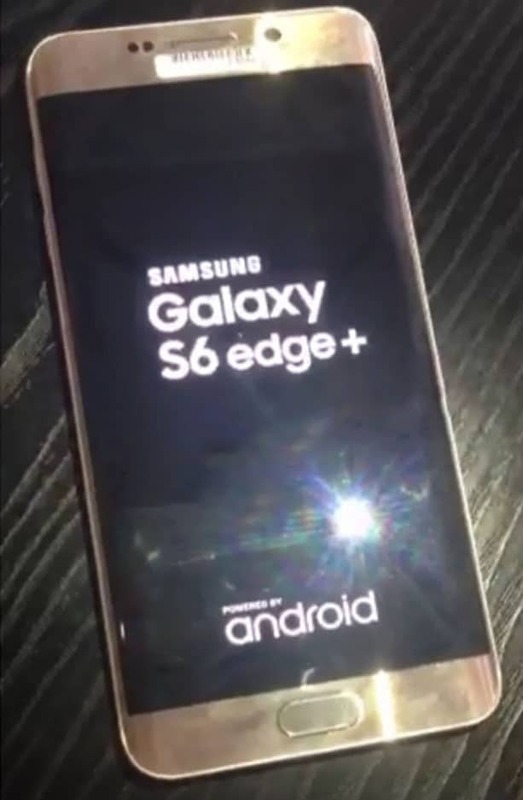 As with most Samsung devices, it says the device name as well as “Powered by Android”. 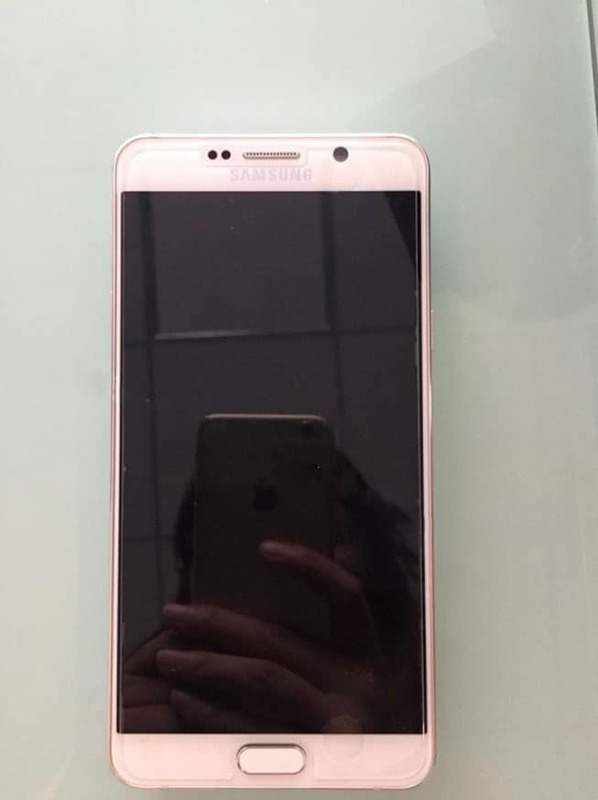 The Galaxy S6 Edge+ does look like it might be the same size as the Galaxy Note 5. However, it is a bit tough to tell seeing as they weren’t pictured together. 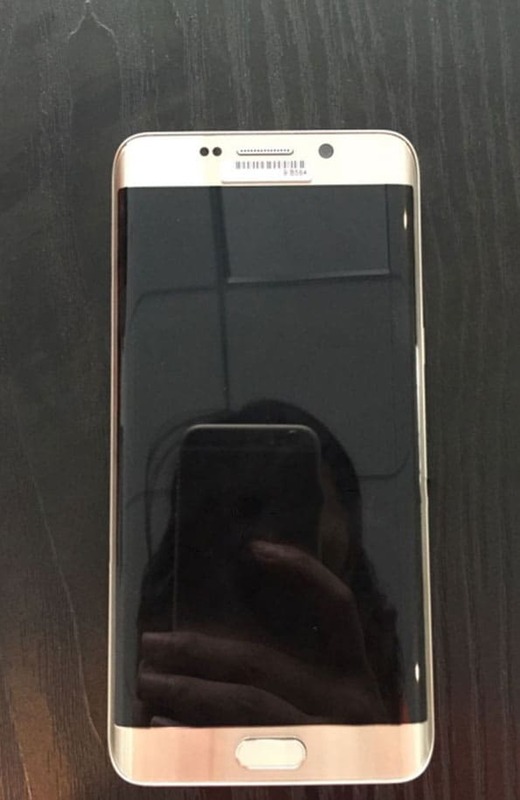 We do know that the Galaxy S6 Edge+ will be available in gold, which was pretty much a given, seeing as the Galaxy S6 Edge was available in gold. Right now, we’re hearing that these devices will be announced next month, ahead of IFA. This is so that Samsung can beat Apple to releasing their iPhone 6s. So far we have no confirmed date for when these two devices will be announced, however. Typically, Samsung will announce the Galaxy Note successor at IFA during the press days, which are September 2nd and 3rd this year. Which we’ll be live in Berlin, Germany for IFA, and bringing you everything that is announced that week. 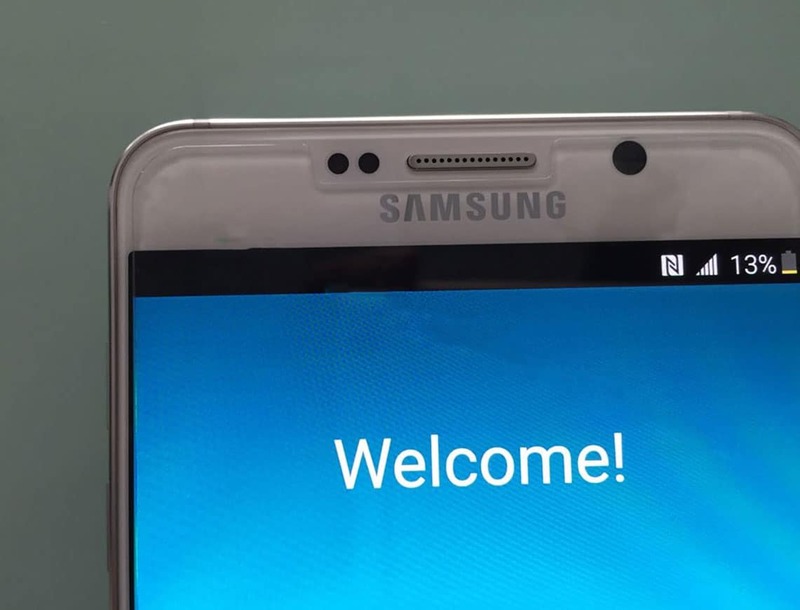 As far as specs go, right now we’re looking at a 5.7-inch 2560×1440 resolution display for the Galaxy Note 5. We’re also hearing that Samsung might be going back to Qualcomm this time around. And using the Snapdragon 820 for the LTE markets and the newer Exynos 7422 for the 3G markets. However, it’s important to note that the Snapdragon 820 isn’t supposed to be ready until Q1 2016, which will make it tough for Qualcomm to mass produce enough for Samsung to have it ready for the Galaxy Note 5. But we shall find out all the specs as soon as Samsung announces it. Whether that be next month, or in September at IFA in Berlin. The post MobileFun Leaks Out Boot Up Screens for Galaxy Note 5 appeared first on AndroidHeadlines.com |.